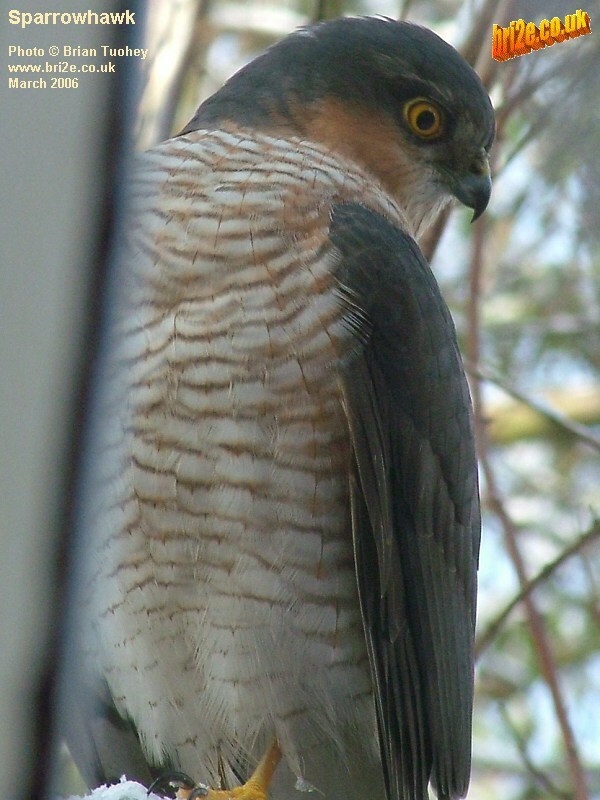 The first time I saw the sparrowhawk was the last weekend in February 2006. 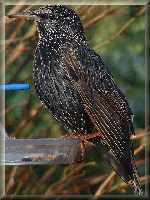 I was in the kitchen and was aware that a large bird had suddenly flown into the garden and landed on the top of the feeder. 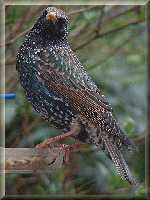 I saw it on Saturday and Sunday. 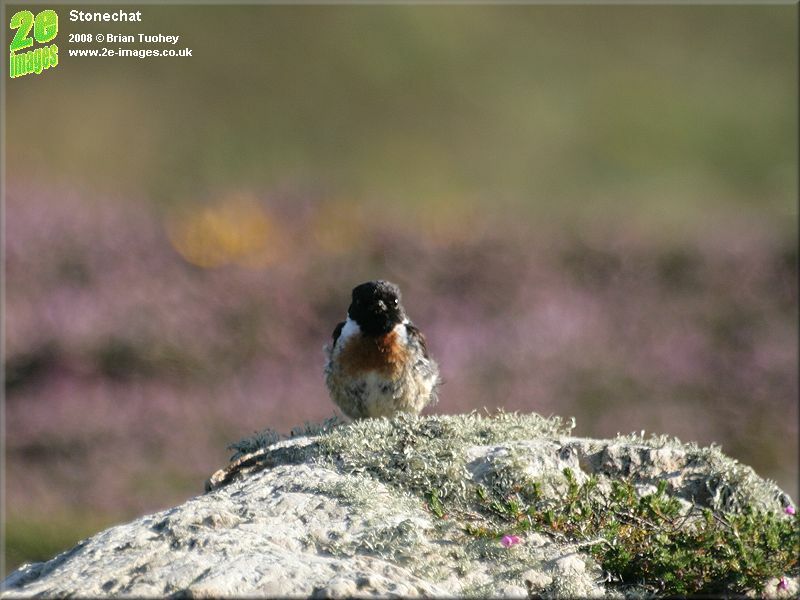 It didn't get any of the smaller birds, but it made more appearances the following weekend when the two pictures here were taken, so it had probably also been there on other days as well. It is a magnificent bird to see, but of course there are mixed feelings seeing it in the garden, as it is after the birds that I am trying to encourage. 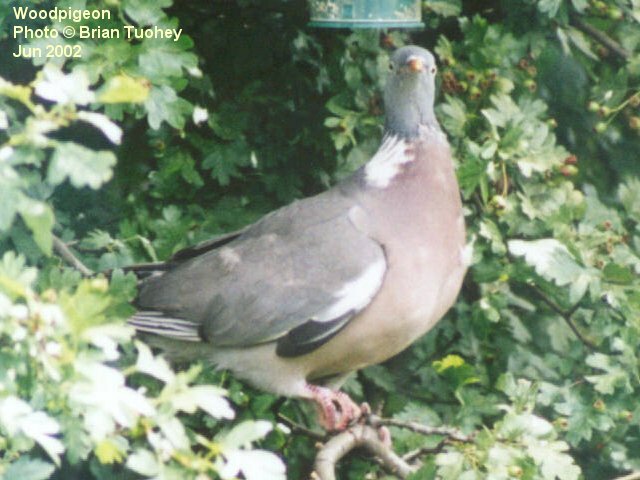 After those two weekends, I didn't see a sparrowhawk for several months until the summer. 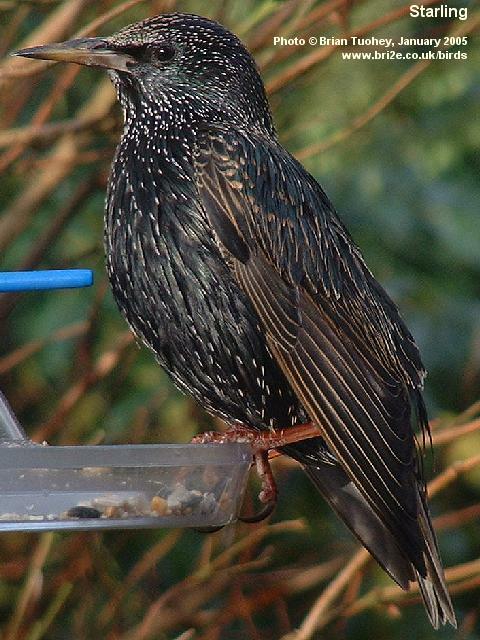 From what I have read about them, this bird is a mature male. 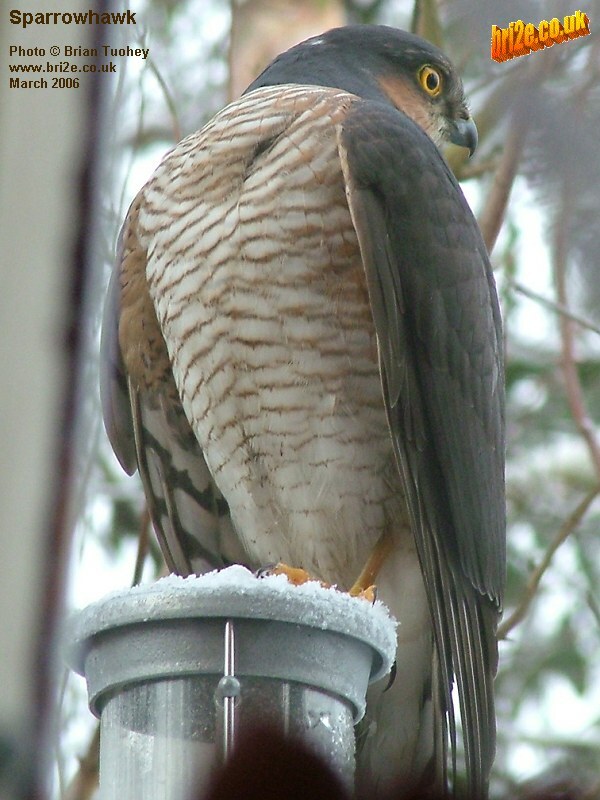 Sparrowhawks have been increasing in numbers in recent years, and are becoming increasingly common in suburban gardens. 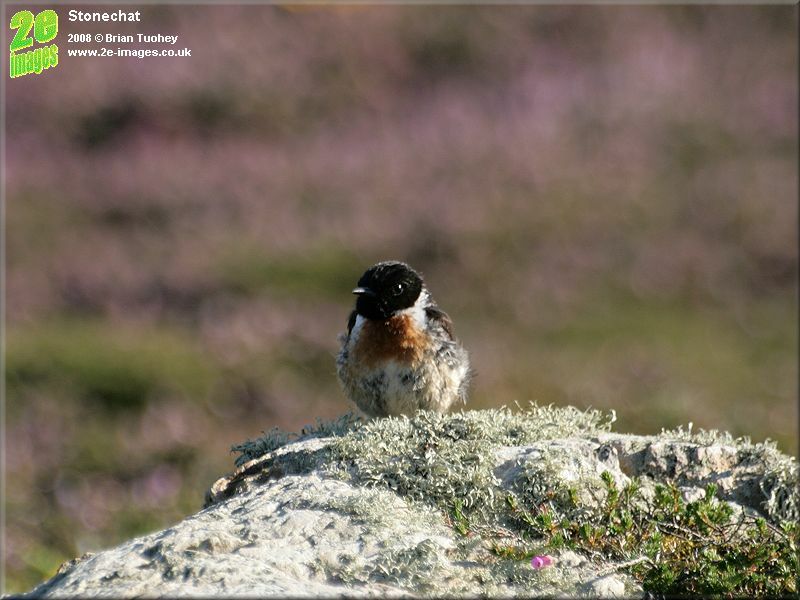 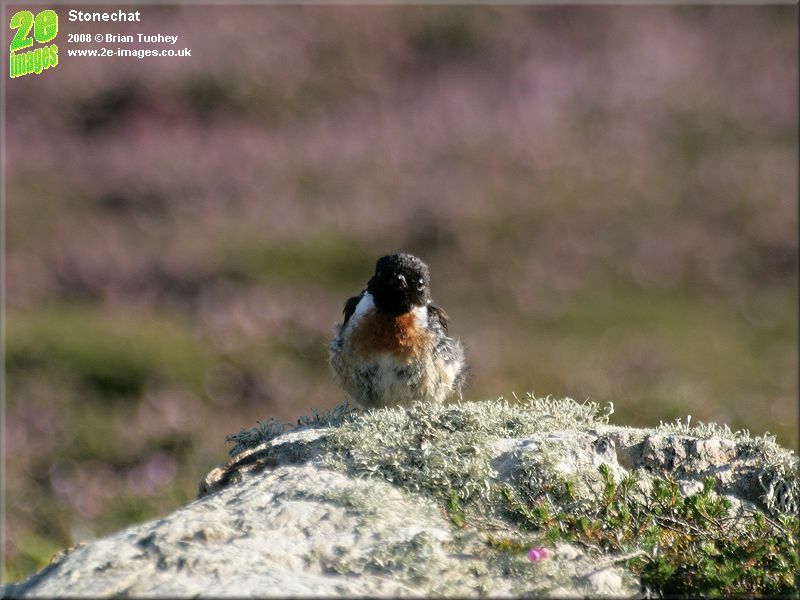 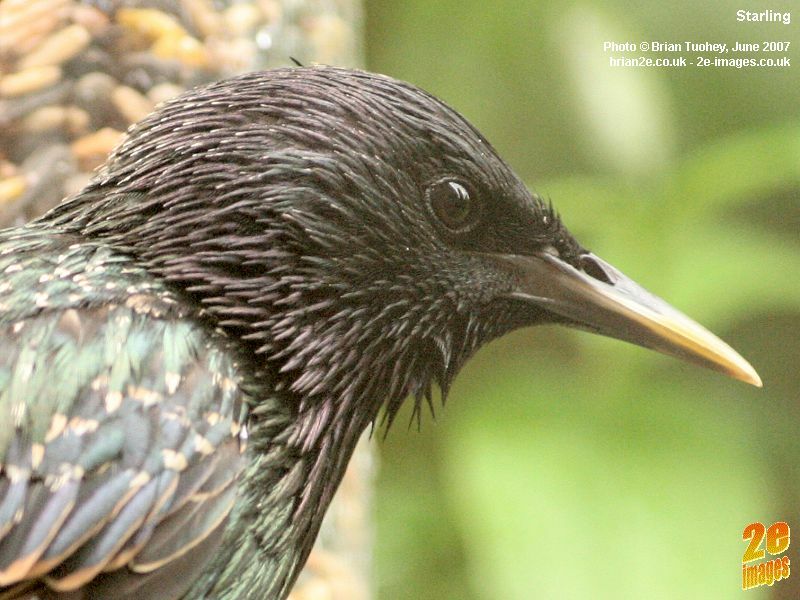 An RSPB article suggested that their increasing numbers in gardens is a testament to the success of garden feeders and the range of birds they attract. 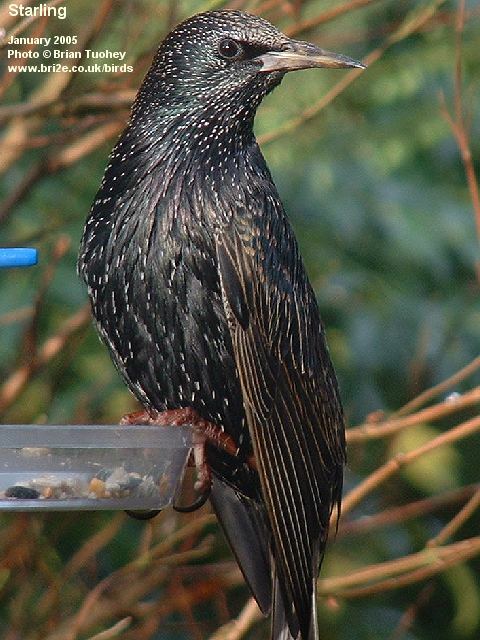 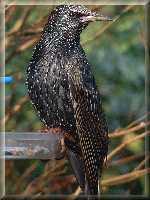 Starlings have recently become a regular visitors to the garden feeders and they will eat whatever type of food is available - seeds, nuts or fat. 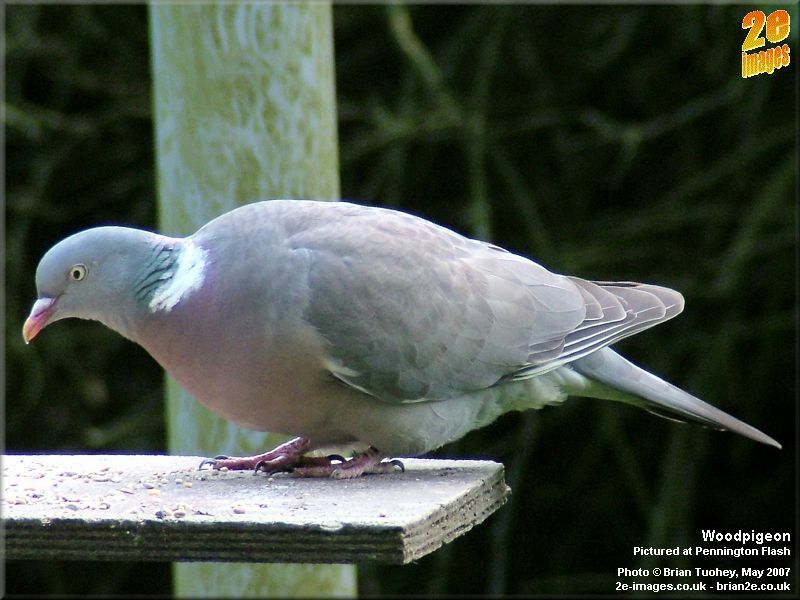 They have huge appetites and, in contrast to the larger collared doves that also visit the feeders, they are often aggressive towards other bird species, rarely letting them feed at the same time. 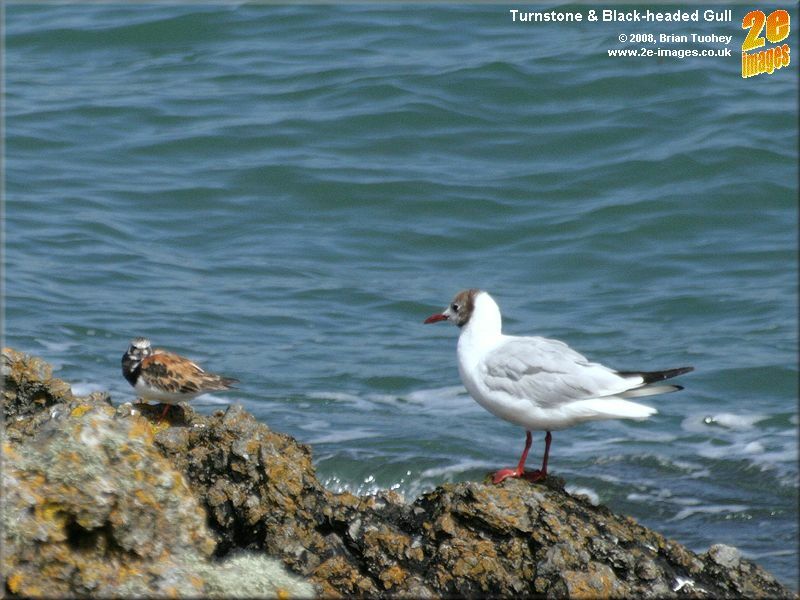 Pictured at South Stack, Anglesey in August 2008. 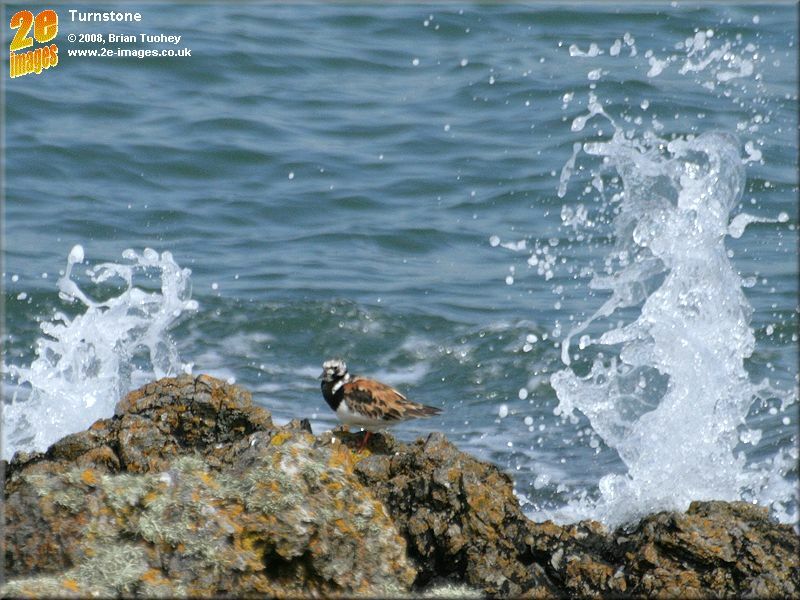 Pictured on rocks at the edge of Cemaes Bay, August 2008. 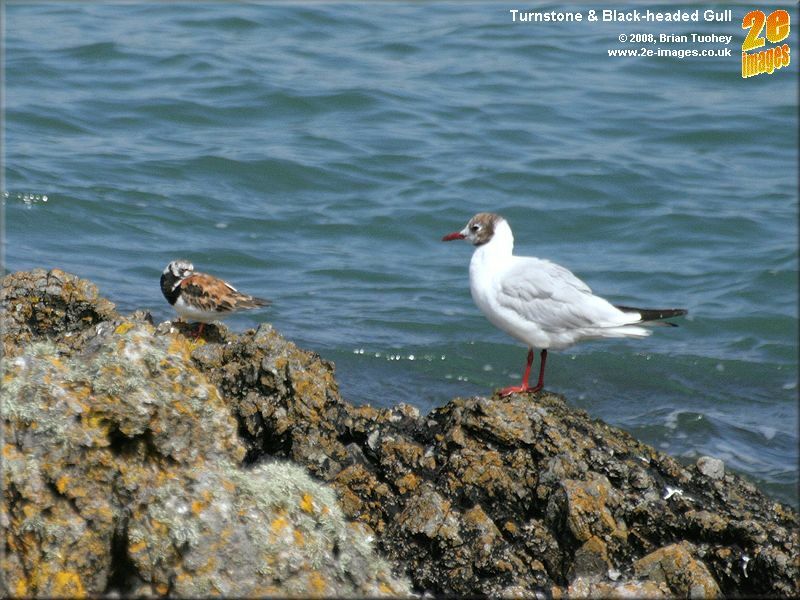 As well as being accompanied by a black-headed gull, the turnstone was with a flock of oystercatchers and flew with them to some adjacent rocks. 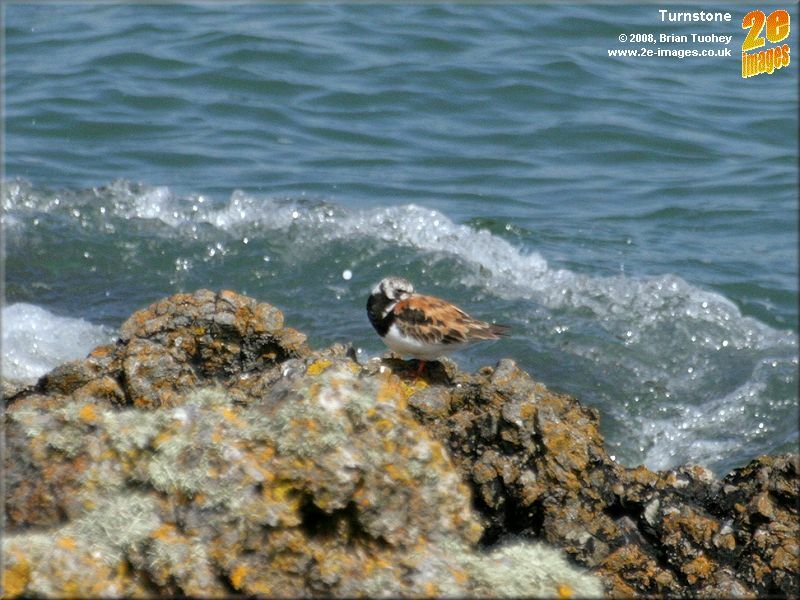 It is pictured with the oystercatchers elsewhere in these pages. 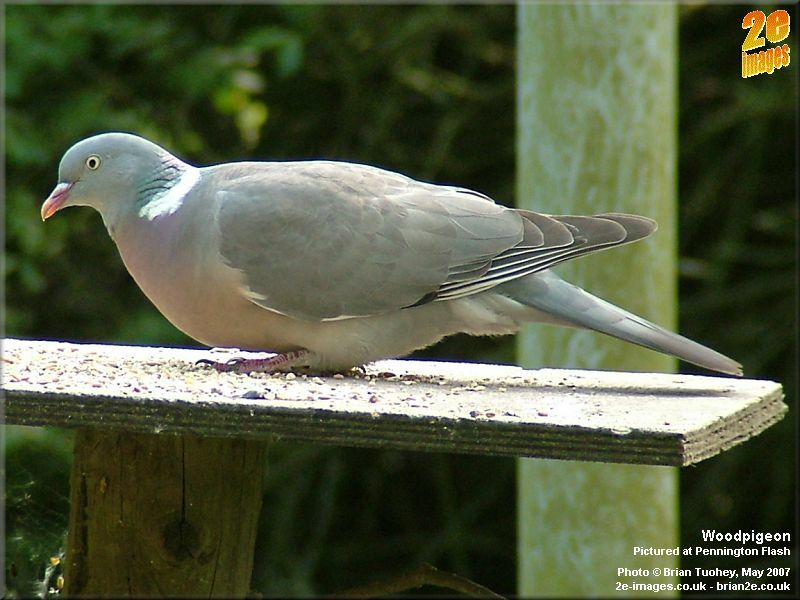 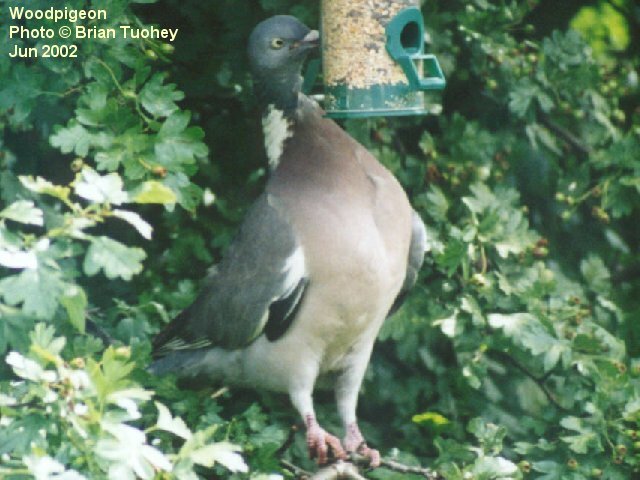 In the two older pictures below, this woodpigeon became a regular visitor to this feeder, the only time I have ever seen a woodpigeon take seed from a feeder like this.